Originally trained in theatre, Jane Bentley spent six years touring the world with the International Purves Puppets. This involved being mostly invisible in such prestigious destinations as Syria, Taiwan, and Auchtermuchty village hall. She began her journey into enabling the expressions of others after spending three years living, and working with the Iona Community on a very small island. Here she discovered that, for her, it was most fun doing music with (rather than for) people. In order to deepen this experience she then completed a degree in Comunity Arts (specialising in music) at Strathclyde University in Glasgow: graduating with first class honours and a big caffeine habit. At the same time she came across the Community Drum Circle movement in the USA, and headed off to Hawaii to train with its foremost exponent, Arthur Hull. She continued her studies by completing her PhD based on drum circles and improvisation, highlighting the effects of group music making on human wellbeing – the first time that the practice of drum circle facilitation has been studied at this level. Further training has included improvisation with the Grammy award winning cellist David Darling and his Music for People organisation, vocal improvisation with Bobby McFerrin, and two Eurpoean Union Leonardo Da Vinci ‘Transfer of Innovation’ projects on music in health settings with the Royal Northern College of Music and Musique et Sante, Paris. Her work as a facilitator has broken new ground in the field of health and wellbeing, through her long-term collaborations with mental health occupational therapy staff in the UK National Health Service. In 2007, she established ‘The Buddy Beat’ drumming group, which won the Epic award for the best voluntary arts project in Scotland, and inspired the formation of several other drumming groups for mental wellbeing. in 2016, she was named a BBC Music ‘Unsung Hero’ for her work in the community. She presents at both national and international conferences on the subject of drum circle facilitation, and the potential of music making for social development. As a trainer, she has been delighted to collaborate with two of Scotland’s best known orchestras – the Royal Scottish National Orchestra, and the Scottish Chamber Orchestra, to develop and extend their work with children and adults in hospitals across Scotland. 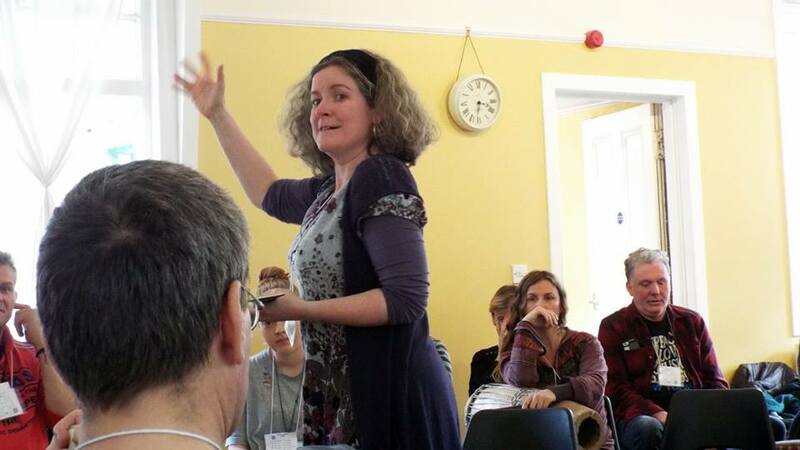 She has been involved in training musicians, music therapists, occupational therapists, nursing staff and activity co-ordinators from Brighton to Chicago. 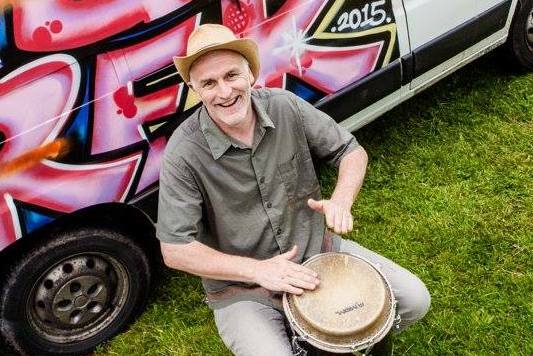 Paul John Dear is one of the first and most experienced VMC trained and certified Drum Circle Facilitators in the UK and has developed his facilitation skills in a wide variety of settings including Educational, Corporate and Community. Paul has also studied culturally specific rhythms across the years. Here are some of the Teachers/Cultures he has worked with. He has performed with Beyondrum, The Kajamor Family and Maghribibeat and was part of the team that delivered Rhythm and Grooves, a Festival Of African Music and Dance in West Yorkshire and is now volunteering some of his time in a Music and Arts Development role for Wiston Lodge through Tinto Music and Arts. Educational workshops have been at the core of Paul’s work since 1999 and he is now delivering an exciting Expressive Rhythm Stories Training to Educators internationally. Paul is a charismatic workshop leader and delivers his sessions with warmth, humour and a high degree of professionalism. Since 1999 Rhythmbridge has delivered thousands of workshops to a wide diversity of communities and continues to be one of the most innovative drum companies around. More recently Paul has been exploring the connection between mindfulness, rhythm and emergence. Born in Ogden Utah and raised Mormon, Arthur takes his mission seriously. Arthur has dedicated his life to making the joy of rhythm accessible to people everywhere. 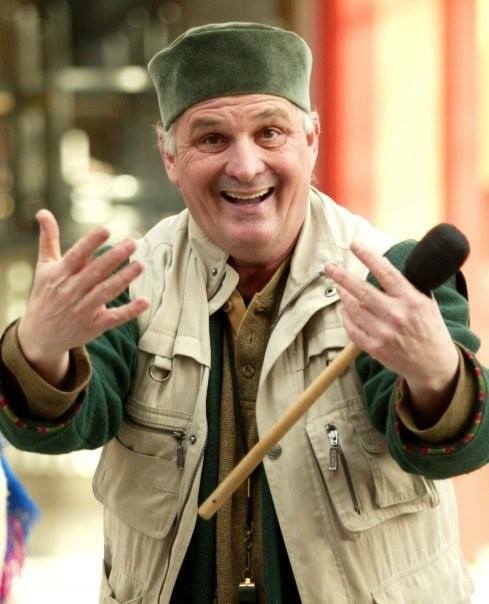 Through his trainings, books, dvds and music Arthur strives to bring people a direct experience of the joy of rhythm; empowering others to carry the positive impact of community building through rhythm forward into their own lives and community. Arthur has sparked the world-wide movement of drum circle facilitation, creating a new and internationally recognized profession of the Drum Circle Facilitator. Arthur’s goal is to help this growing community develop, and build a strong platform from which values-based professionalism can emerge. Jim Boneau is a facilitator, teacher, speaker and coach who has a passion for igniting leaders and professionals who are committed to the development of others. In 2000, after achieving success in corporate America, Jim participated in his first VMC Hawaii Playshop. He was so inspired from that experience that he left corporate America to embark on a journey to find his own authentic voice. Jim has discovered that the learning from drum circle facilitation training goes far beyond his skills in a drum circle. 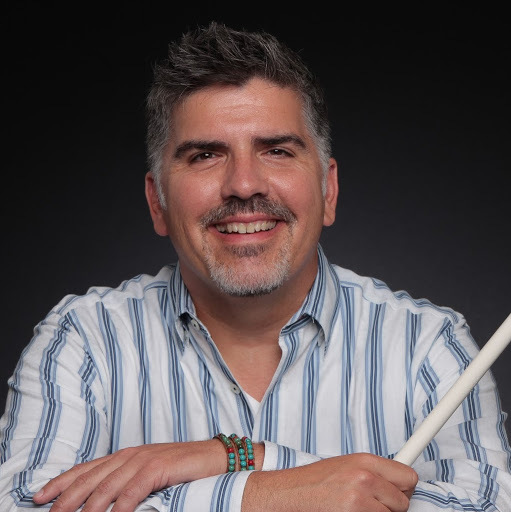 Jim has now made a full circle back to corporate America, as a facilitator and coach; drum circle facilitation is a tool Jim uses in this work. Jim has earned his coaching certification with the Hudson Institute, and a Masters degree in Coaching and Consulting from Bastyr University. Jim lives in Seattle with his partner Eric, their dogs Lucy and Sam, and their cat Nimbus.